I am trying to figure out a good split for the CPU/GPU. Is there a way to monitor the CPU and GPU usage to see where I should make the split? One easy solution is to get the Raspberry Pi itself to manage how the RAM is split between the CPU and GPU with dynamic memory split. While raspi-config cannot do this for you, there are example settings for /boot/config.txt available on the forums. Basically you cannot currently get the GPU usage. You can only get the CPU usage, try the top command. Regarding the optimum CPU/GPU split. It really depends on what you are using your RPi for. If your not playing videos and games (GPU optimized), then give the CPU the most amount of RAM. Also if your running "headless" (Not connected to a screen) then assign the CPU as much RAM as you can. Chromium does not currently use the GPU, check the following thread. It's from one of the guys doing the development of Chromium for the Raspberry Pi. Also there are some tips on how to get Chromium to run faster in the original post. The line Mem: is what you are looking for. In the example above, you can see that, on a total of 438MB, 146MB are currently used, and 292MB remain free. On my 512MB RPi, I have set 64MB for the GPU. 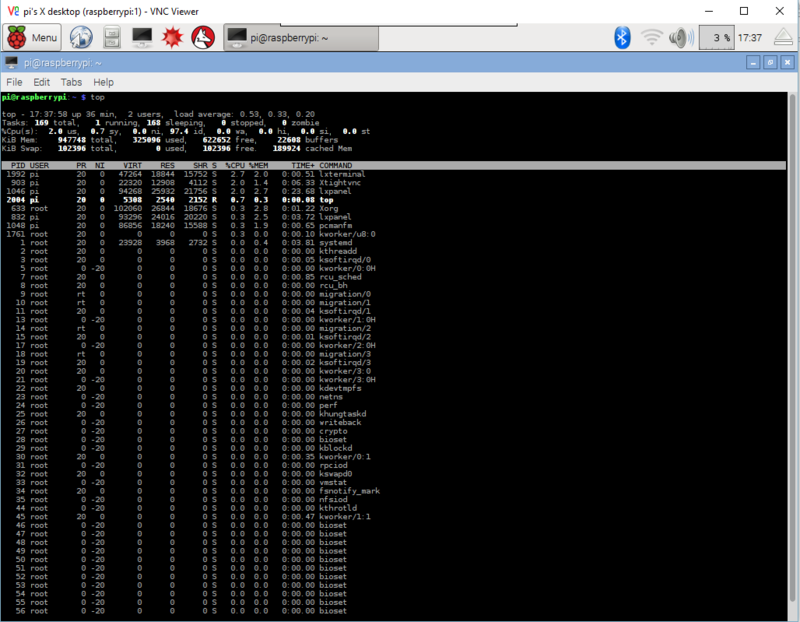 To monitor the CPU, RAM and SWAP usage in Raspbian, you can use TOP or HTOP. In terminal, run top. TOP is available by default, and gives reasonably good details. But, I find HTOP to be more useful, with better details and features available. HTOP is not available by default, and need to be installed. 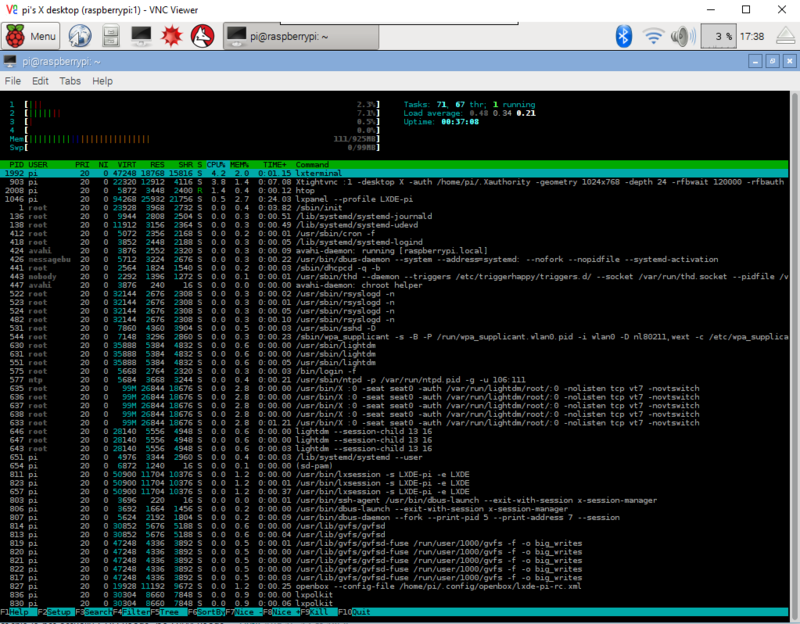 Run sudo apt-get update && sudo apt-get install htop in Terminal to install HTOP. In terminal, run htop after the install is completed.